The Volkswagen Caddy is a small panel van that’s perfect for hauling light goods. With smaller dimensions than the standard SWB Transporter, this van is the perfect choice for driving in and out of the city. Available to order now through Flexed on our short term lease contract. Renowned for creating comfortable and economical passenger cars. Volkswagen has invested the same level of build quality into their commercial range. The Caddy drives just as well as a ‘normal’ car with the added functionality of load space. Recommended for professional individuals and companies who are looking for a small van for up to 6 months or more. Call 0800 311 8290 to find out more. 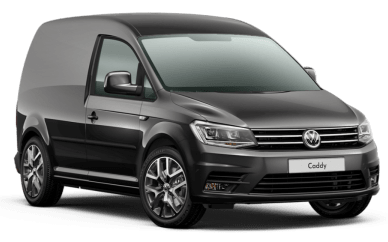 Our lease offer is based on the standard Volkswagen Caddy Panel Van. It has a 3.2m³ load area volume with a payload rating between 545-734KG. At the back, the van is equipped with dual rear doors making unloading/loading incredibly easy. These vans are equipped with the standard 2.0TDi manual diesel engine. Equipped with VW’s BlueMotion Technology the engine has a fuel economy figure of 60 MPG (combined). CO2 emissions are rated at 124g/KM. Unlike traditional car leasing, our rolling 28 day short term lease is the perfect choice if you need something indefinitely and quickly without being tied to long term contracts. Simply roll the lease for however long you need it – whether it’s 1, 3, 6 or 12 months and more!